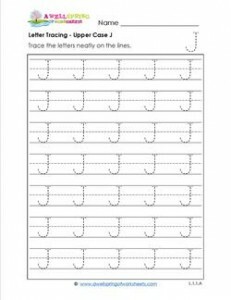 I don’t know what it is, but upper case J’s are just happy letters. Maybe they’re just joyous, or joyful, or jolly. Letter tracing just doesn’t get any better than this!